When it comes to websites, everyone in the digital marketing fitness realm has an opinion. Do a quick Google search with the words “are websites dead?” and you will get page after page of articles that contradict each other. There are strong arguments coming from both camps that can sway the pendulum from “for” to “against” websites on day-to-day basis. I will let you in on my thoughts in a minute, although from the title of this blog, I’m pretty sure you can figure out where I am going with this. In the beginning, nearly 30 years ago, there were websites. Simple, to the point, and devoid of any fluff, flash, chats, or blogs, the only purpose of the original format was to inform. While there has been a push to not only inform, but also to entertain and interact, the broadly encompassing social media trend introduced us to new platforms for communicating with clients and friends alike such as Facebook, Twitter, Instagram, Snapchat, Pinterest and specialized aps. It has become increasingly important to be able to reach potential clients in real time and through the use of these tools you are able to keep your business front and center when customers have questions or make that decision to finally purchase a program you may offer. But, what happens when it’s the middle of the night, a client can’t sleep and they make the decision to finally get fit? Do you have someone standing by to answer questions? For a while now, many marketing gurus have been trying to convince companies that they should ditch the traditional company webpage and rely solely on social media channels and aps. For some industries, it does make sense right now as that is where the majority of their clients spend time researching-getting information from Tweets and Facebook posts, relying on other people to tell them what a great product they found. But, what about people who actually want more information – those who need to spend more time learning about a product (or facility) before they set foot in your business? In a recent report by Marketing Land, Super Bowl ads, the mecca of advertising dollar spends, included more URL’s (website landing pages) for the first time in years as opposed to hashtags. Similarly, ComScore reported that people only use about 25 apps a month, while they will visit 100 websites. If your app is not among those top 25 mobile apps, you’re far better off investing in your website. 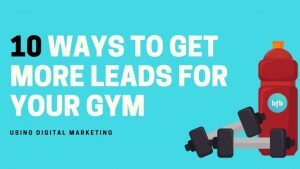 Fitness marketing is a very personal business to be in because you are working with many people who are in need of a lot of help to get healthy. Many of them have low self-esteem and would rather research their options from their desktop or mobile device. That said, many of our clients spend quite a while researching their options before setting foot through your front doors and they are looking at all of the content they can find online, including your website. Here is my take: websites have continued to be the best bang for your marketing dollar. These are my top 5 reasons that I encourage my clients to build and maintain a killer website in addition to any other social media messaging they may use. 24-7 Availability. You have to understand that people still use Google as a main platform to learn about you and your company and it is quite helpful to have the search results point to a website. It provides convenience to your current and potential customers to review all to offer. Most people are less inclined to purchase a product from someone who only has a social media platform if they are unfamiliar with the company in the first place. Why? Social media platforms can be built overnight, but a decent website, complete with company background, locations, phone numbers, owner and trainer bios, class times, sometimes pricing, all of this information shows the potential customer that you are not a fly-by-night business. Plus, as I mentioned above, this gives the careful researcher enough information to make a determination if they would like to follow up more with you for an actual visit to your gym. Potential Money Savings. While the initial cost of creating your website can be quite labor intensive and potentially costly, the monthly cost of keeping it up/live is generally $100 or less. It should be a no-brainer to build a professional website when you look at the potential reach of your website versus the cost of traditional advertising. Residual, non-stop promotion. If you include all of your background information, media coverage, class times, etc., you have a one-stop brochure for people to review. You can update it with blogs or inform customers of challenges right on your site and this information will remain front and center 24 hours a day. Become Fitness Authority In Your Community. A lot can be said for a professional website that inspires trust in your potential clients and one that offers frequent blogs on it will make you the go-to guru in your community. We can’t say it enough – content is king and when you give people valuable information, they will continue to come back for more. Tie All of Your Messaging Together. Are you promoting your latest challenge on Facebook? Direct them back to your website to get more information about not only the challenge, but about your philosophy as well. Have someone who is constantly posting on Instagram or Twitter? Have them hashtag or use your URL so that they can encourage a newcomer to give you a try. Best part about today’s websites is that you can bring all of your messaging together – include links to your social media accounts on your homepage and anyone can find out all the information they need 24 hours a day. For me, having a professionally-built website for my gym along with a strong social media presence has brought my business to the forefront of personal training gyms in my area. It’s a no-brainer – saves time, money and gives us the professional look to attract the elite level clients we cater to. 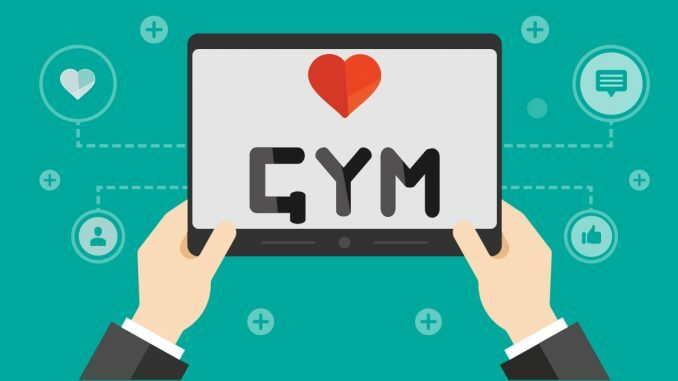 We have always relied heavily on our website’s look and feel to drive people into our gym. Today, although we have tweaked it to keep up with the changing times, we still put a lot of trust into our website’s presence and do not have plans to give up on it anytime soon. The more things change…the more they stay the same.